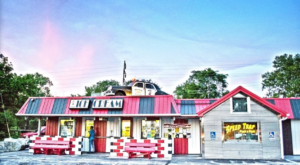 Growing up in Greater Cleveland, one can’t help but be exposed to a bit of local lore. 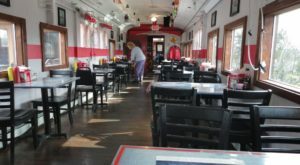 There’s so much history in the area, and with it comes several seemingly mysterious sites. From cemeteries to old and castellated buildings, stories surround all sorts of mundane and familiar places. Today, we’re going to explore the campus of one mysterious cemetery near Cleveland, and we’ll delve into (and even debunk) some of the myths surrounding its hallowed grounds. Are you ready for a trip through time and local lore? 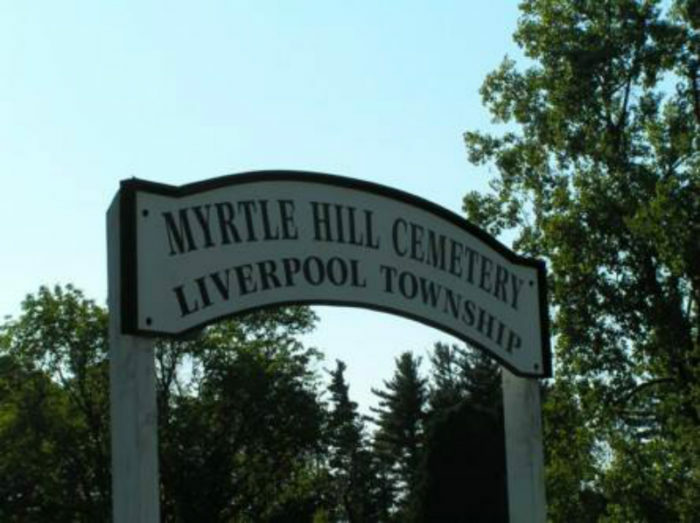 Let’s pay a visit to Myrtle Hill Cemetery, the oldest burial ground in Medina County. 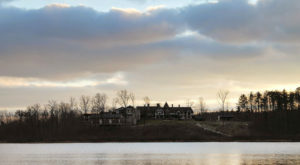 Established in 1822, this nearly six-acre cemetery is the final resting place of some of the area's earliest settlers. 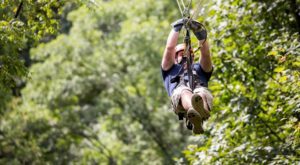 Ever visited Mapleside Farms in neighboring Brunswick? 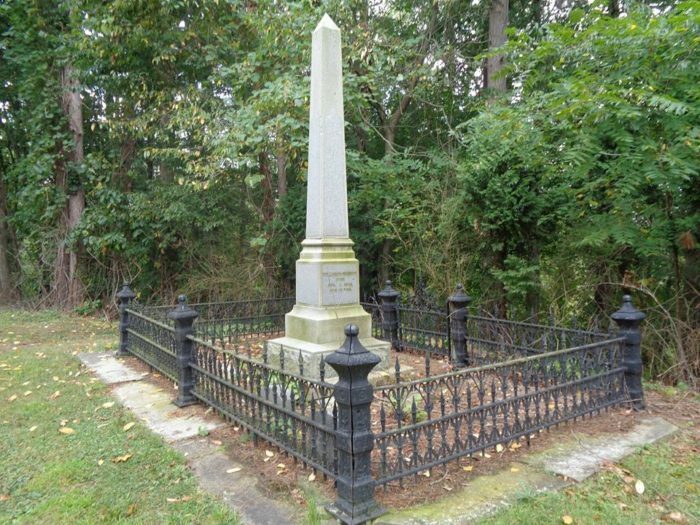 The farm's founding family, the Tillotsons, were among the first settlers in the area, and they also call this lovely little plot of land their eternal resting place. The cemetery is also home to an enduring mystery engulfed in an incredible piece of local lore. 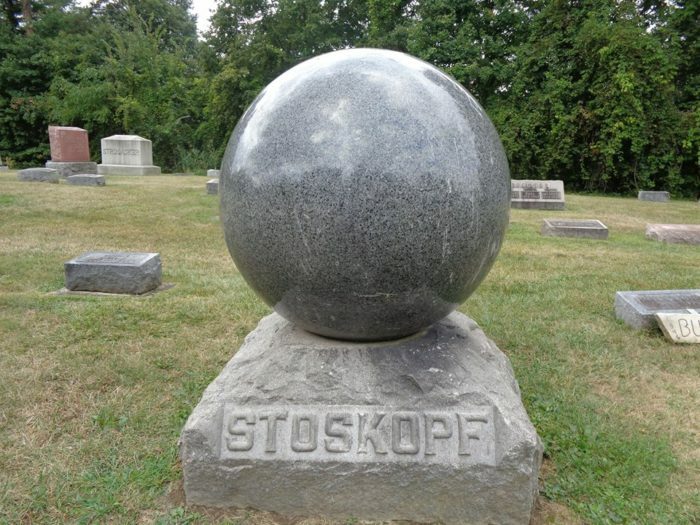 Beneath a three-foot granite ball is a small marker that bears a single name; "Stoskopf." Legend maintains that a witch is buried here, and the massive granite structure was designed to keep her spirit from wandering. 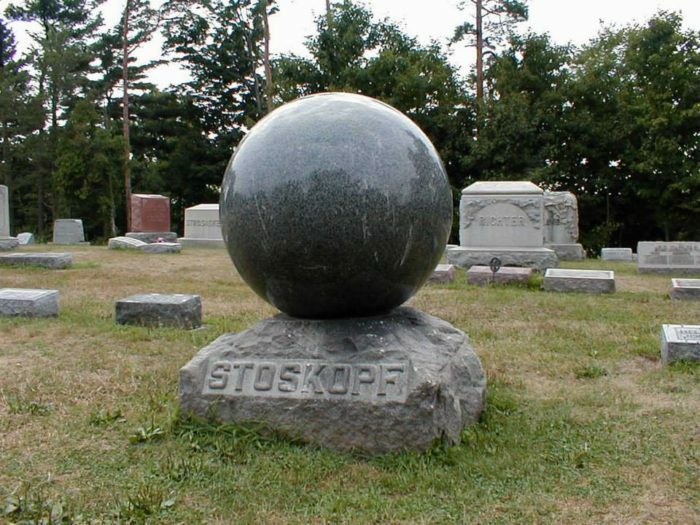 Local legends explain that Old Lady Stoskopf murdered her family and tossed them in a well. When the townsfolk discovered the grisly truth, they sentenced her to death. When she was buried, she was buried standing up, and a massive gravestone was placed above her to weigh her spirit down. Locals insist that the stone itself alludes to the horror lying underneath. 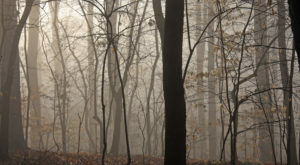 It's cold to the touch in the daytime and warm by night, and even leaves won't dare to settle on the cursed structure. 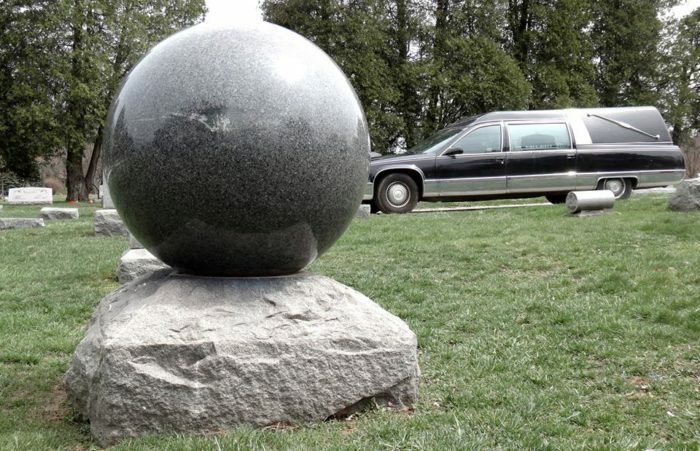 The legend has existed in the area for decades, but it is very likely that there isn't even anyone buried under the massive stone - called the Witch's Ball - at all. 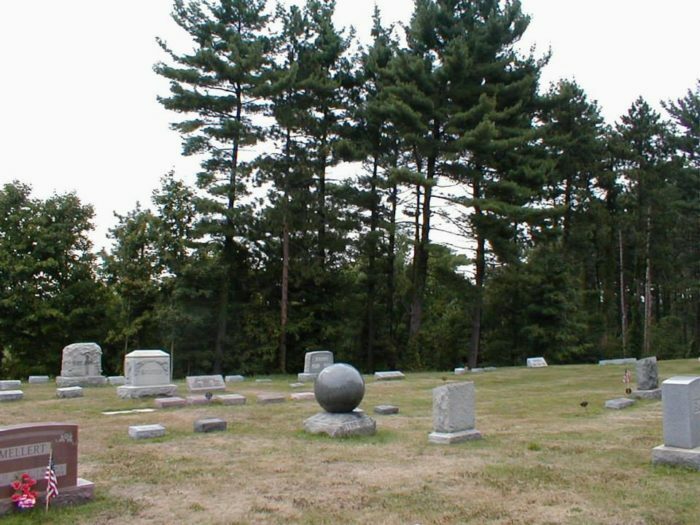 This structure is probably a family plot marker, not a grave, and the seemingly unusual nature of the granite stone is actually easily explained. There are no close trees to drop leaves directly onto the structure. As for feeling warm in the cool of night... it's just a granite stone and it sits in the warm sun all day. It will maintain a bit of heat into the night, and it will take a while to warm up again after the following sunrise. However, as is the case with most legends, there is an element of truth to this tale. The legend was likely inspired by the real-life slayings carried out by Martha Wise. 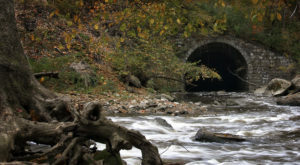 Martha poisoned her family's water supply and ultimately killed three family members... only a mere mile away from where the Witch's Ball stands today. Martha performed her dark deeds in the 1920s, and she died in 1971 at the Marysville Reformatory for Women. Though that legend may be nothing more than an unusual mashup of true occurrences, the age of the cemetery is undeniable. 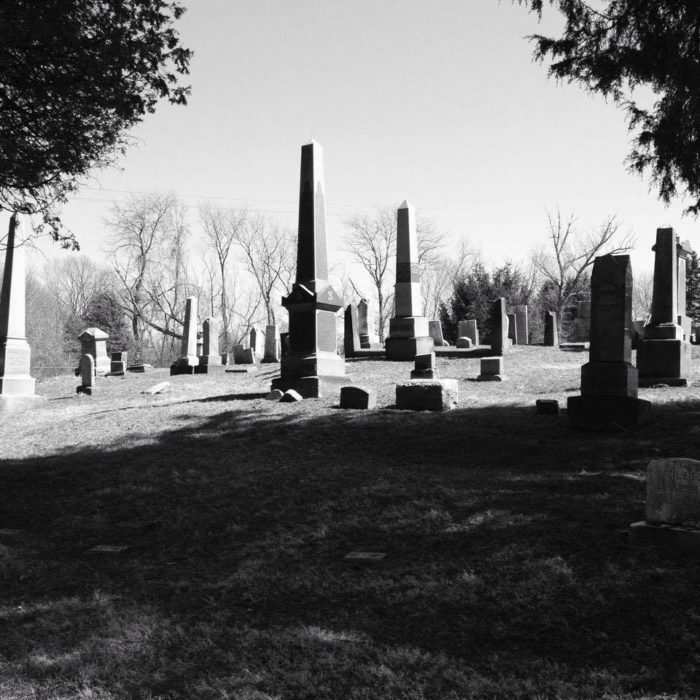 Many can't help but believe that the cemetery itself is haunted, and legend-stompers have been visiting the cemetery (and trespassing at night) to try to interact with its resident spirits. 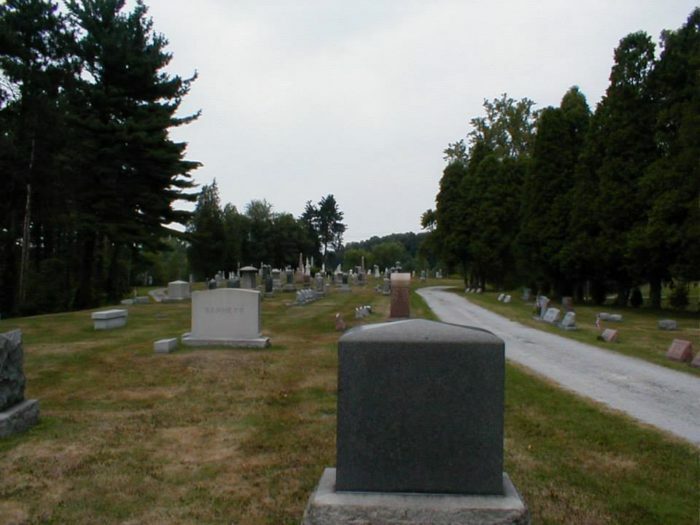 Could the spirits of Myrtle Hill Cemetery be the area's founders, or is our imagination taking advantage of our unease? This cemetery is admittedly beautiful and peaceful, but it does seem to have a particular sense of mystery about it. Located off of Myrtle Hill Road in Valley City, this rural cemetery is worth a visit. 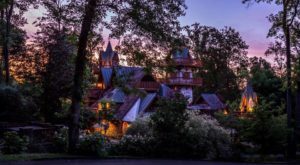 Just remember to visit during daylight hours, and perhaps consider paying respects to the early settlers that helped grow what would become the suburbs. Legend, it seems, is usually at least partially rooted in fact. 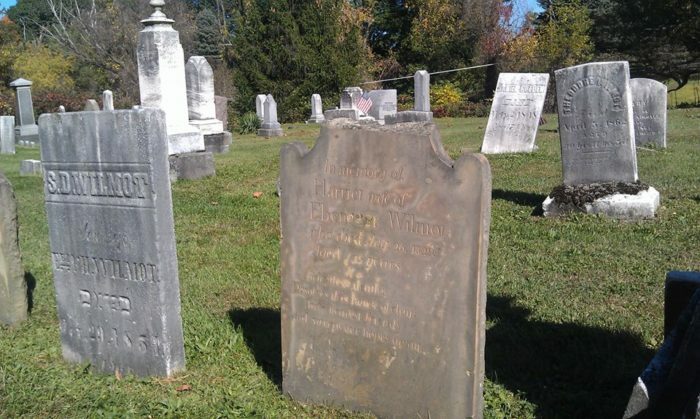 Have you ever visited this spooky cemetery? Do you think the ghosts of the community’s founders could be hanging around? Share your experiences in the comments, or share your favorite local legends! Love local lore? These creepy creatures are said to haunt Greater Cleveland, and you never know when you’re going to spot one.